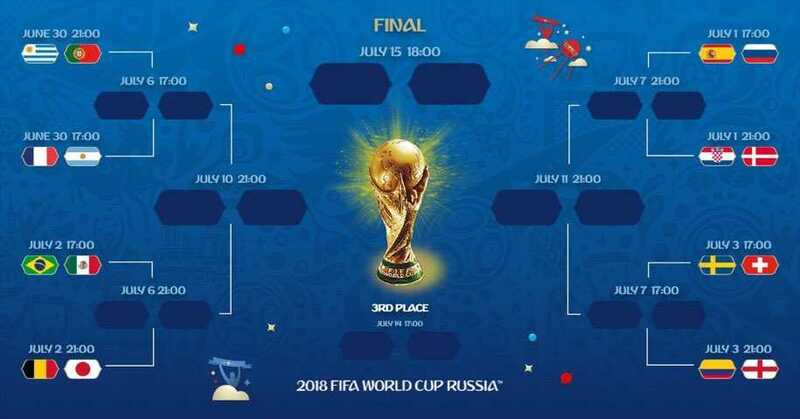 Finally, Round of 16 line-up is complete for this edition of Fifa World Cup 2018, Russia with some surprising news. Among all the other countries returning home from group stage,shoching news is defending champions followed the footsteps of other defending countries who got eliminated in next edition of Fifa world cup like France in 2002, Italy in 2010 and spain in 2014. 16 countires that made it to the round of 16 from respectives group are Uruguay and Russia from Group A, Spain and Portugal from Group B, France and Denmark from Group C, Croatia and Argentina from group D , Brazil and switzerland from Group E, Sweden and Mexico from group F, Belgium and England from group G and last but not the least Columbia and Japan from group H.
1. Yuri Gazinskiy scored the opening goal of Fifa World Cup 2018 edition for Russia against Saudi Arabia. 2. Cristiano Ronaldo scored first Hattrick of this world cup campaign against Spain. 4. Harry Kane leads the Golden Boot race with 5 goals followed by Romelu Lukaku and Cristiano Ronaldo scoring 4 goals each. 5. The match between Denmark and France is the only match that ended goalless draw. 6. Germany became the fourth defending champion country to depart from group stage. 7. Senegal and Japan in Group G earned equal points, scored same number goals, conceeded same number of goals, played 2-2 draw against each other. 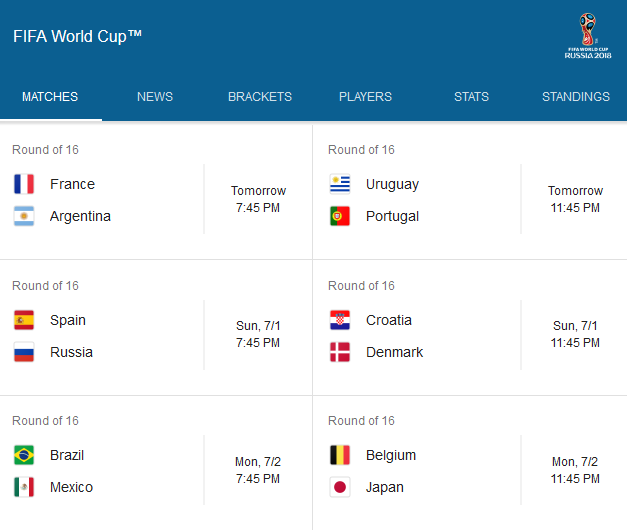 thus, Japan advanced to Round of 16 according to fair play( japan 4 yellow cards and Senegal 6 yellow cards). 8. So far, 24 penalties has already been awarded with or without VAR review. and Cristiano Ronaldo scored first penalty in this World cup against spain.